I visited Blencoe Falls, inland from Kennedy, in December 2016 at the very end of the Dry Season. Friends have just been camping up there and shared photos of their trip so, with their permission, I thought I would share them more widely. The creek is beautiful but there is not much more water coming over the falls than when I saw them, and one has to wonder how such a small stream could have carved out such an enormous channel. 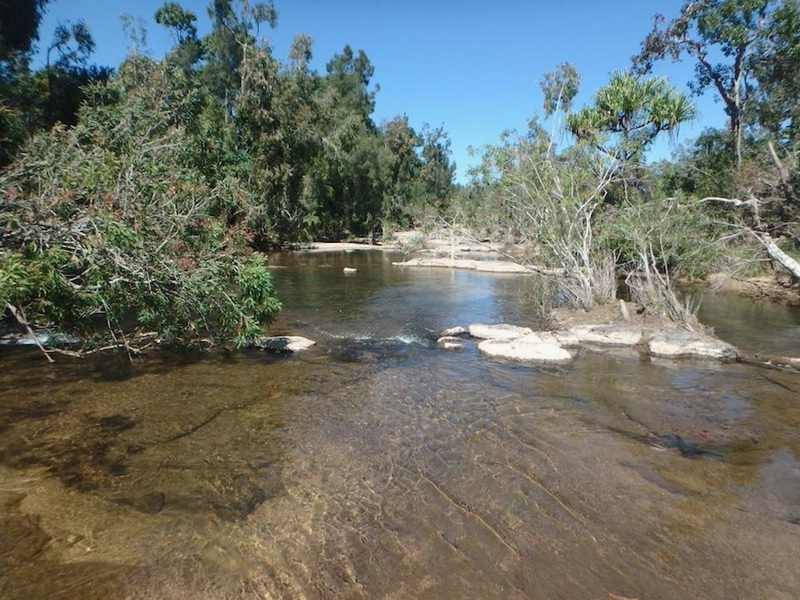 Alligator Creek picnic and camping area is a deservedly popular spot within Bowling Green Bay National Park. In spite of the park’s name, the camping ground is well inland, on the upper reaches of the creek among the rugged hills of the Mount Elliot range. We have visited it a number of times over the years (this link will take you to a 2012 post about it) but hadn’t ventured far beyond the immediate vicinity until exploring the track to Cockatoo Creek yesterday.